If you have auto insurance, you probably don’t think much about it. You just drive your vehicles and do your thing. 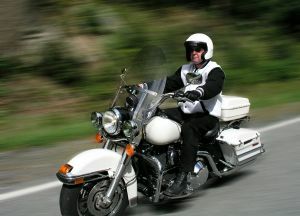 However, if you have a motorcycle you’ll find that the auto insurance you have to cover your car won’t cover your bike. Instead, you have to have specific insurance that’s just for your motorcycle, and you can get that through the agent or company that you got your car insurance from. Most companies insure motorcycles and the cost is usually very low, but some companies charge more than others and some won’t insure motorcycles because they feel that the risk of injury (and therefore of paying a claim) is too high. Many states also don’t require motorcycles to be insured, largely because they don’t do much damage to vehicles or structures, so you might not even need insurance. However, responsible riders generally insure their motorcycles anyway, if only to protect themselves and their families against the high cost of medical bills. Having PIP (personal injury protection) and liability is a good choice for any vehicle that you own, so look into getting them on your motorcycle and keeping them current. If you have an accident or need to make a claim, you’ll be glad that you have insurance to cover it. « Is Auto Insurance Required In All States?